Edgar Degas was the most prolific user of Pastel, and its champion. His protégé, Mary Cassatt, introduced the impressionists, and Pastel, to her friends in Philadelphia and Washington, and thus to the United States. 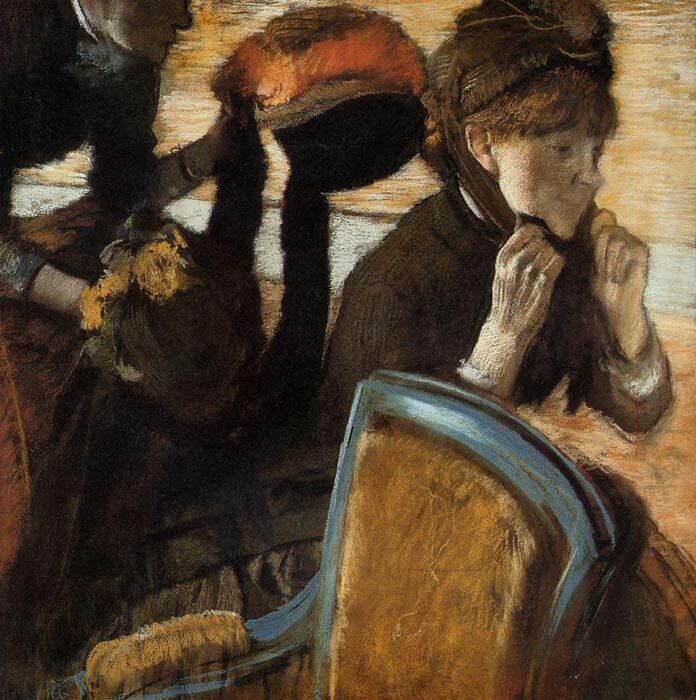 In the spring of 1983, Sotheby Parke Bernet sold at auction two Degas Pastels for more than $3,000,000 each! Both Pastels were painted about 1880. SPECIAL NOTE : The painter will make the reproduction as close to the original oil painting as possible. If you want your painting to alter from this likeness, please email us and " At the Milliner's, c.1882 " will be reproduced according to your special requirements.